The washing machine is a staple appliance in any household because of our need to keep our clothes fresh and clean. But while many of us are familiar with the use of a washing machine, what happens when we have to purchase a brand new one for our homes? There are a number of factors to consider when purchasing a new washing machine, and this list is here to help you figure it out. What Is a Washing Machine? 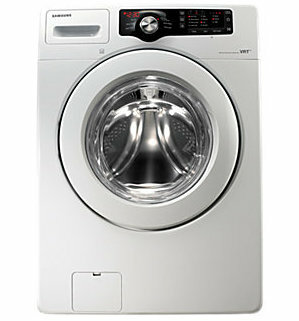 A washing machine is an appliance that is used to wash laundry. The process includes immersing and agitating dirty clothing in water mixed with detergent and/or bleach. 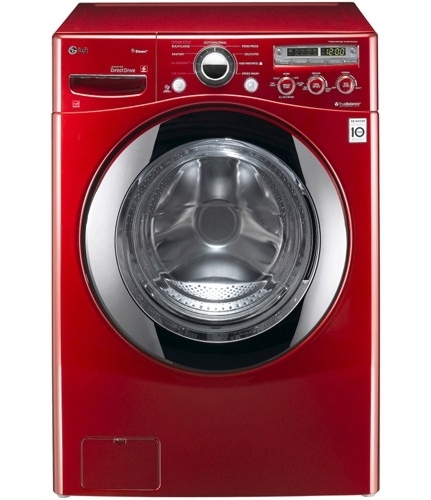 There are two main types of washing machines: top-loading and front-loading machines. Top-loading machines are the least expensive of the two, but also do not wash as well and use up more energy. High-efficiency models help mitigate this problem, but these come with a higher price tag. Front-loading machines perform better and more efficiently than top-loaders, but they’re also more expensive. 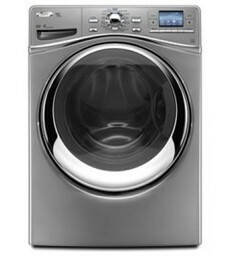 The most highly rated front-loading washing machine on Consumer Reports, the Maytag Maxima XL MHW7000AW was well-reviewed in washing performance, energy, and water efficiency. With a carrying capacity of 4.3 cubic feet, it can fit a very large load of laundry and has a number of automatic controls to ease the washing process. Currently $1,079 on Amazon Marketplace. 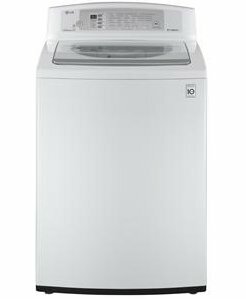 While the usual trend is that front-loading washing machines are typically more expensive than top-loaders, the Samsung WF210ANW offers front-loader efficiency without the hefty pricetag. However, while the Samsung does comply with Energy Star standards, users agree that it is only mediocre in terms of washing performance. Its noise and vibration levels are also not top-of-the-line and it has a relatively large cycle time. Currently $699.00 at Lowe's. Well-reviewed at both Consumer Reports and Good Housekeeping, the Whirlpool Duet WFW97HEX is known for its Precision Dispense Ultra system that allows you to select detergent concentration and water hardness, giving you great control over your laundry. Users agree that it tackles heavily dirty laundry with ease and is highly efficient, saving you both water and energy. Currently $1,410.99 on Amazon. The LG WM2650HRA Washer is considered by many users to be a great front-loading washing machine at a price that does not break the bank. With a large carrying capacity of 3.6 cubic feet and 9 different washing programs, this LG can take care of just about any laundry load. Additionally, users find the special steam cycle to work on even the toughest stains. However, best plan ahead if you intend to use the steam cycle — it takes at least 2 hours to finish. Currently $817.99 on Amazon Marketplace. 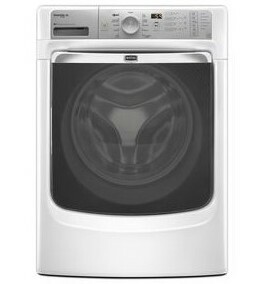 A Consumer Reports Best Buy, the LG WT4801CW is considered the best top-loading washing machine available. Not only is it highly efficient, it doesn't suffer from the performance problems of its fellow brethren, all the while maintaining a reasonable price tag. Users of this LG also note that it is quiet and easy to use. The biggest complaint against this washing machine is that it is not the most gentle on clothing, and laundry can get tangled or wrinkled after being washed. Currently $599.93 at Sears Outlet. One caution is that some of the washing machines now do a terrible job at their default settings, which they have only to get the Energy Star rating. You can't actually wash clothes at these settings and expect them to get clean, though.